Because probabilities are known, the chance or risk of an unexpected event can be calculated precisely, e.g. Weight, height (most anything in nature that grows), coin tossing, IQ scores. e.g. 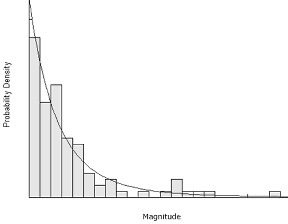 Magnitude of earthquakes, blockbuster books and movies, stock market crashes, distribution of wealth, extinctions (species and companies), population of cities, frequency of words in a text, epidemics, casualties in wars, pages on the WWW. Gets explained after the event, therefore making it look like we could have predicted it, (if only ...). This fools us into thinking someone (an ‘expert’) might be able to predict the next Black Swan, which in itself increases the chances of another one catching us unawares in the future. I. The nature of uncertainty, unpredictability and randomness. IV. And how we can. “We can make good use of the Gaussian approach in variables for which there is a rational reason for the largest not to be too far away from the average. If there is a gravity pulling numbers down, or there are physical limitations preventing very large observations, [or] there are strong forces of equilibrium bringing things back rather rapidly after conditions diverge from equilibrium. Note that I am not telling you that Mediocristan does not allow for some extremes. But it tells you that they are so rare that they do not play a significant role in the total. The effect of such extremes is pitifully small and decreases as your population gets larger. This is not a ‘chicken and egg’ problem, it is a ‘chicken and death’ problem: Everyday of a chicken’s life it has more and more evidence that because humans feed, house and protect it they are benign and look out for its best interests — until the day it gets its neck rung. Black Swan events are always unique and therefore not subject to testing in repeatable experiments. “The underestimation of the role of the Black Swan, and occasional overestimation of a specific one.” (p. 307, Taleb). This means that the effects of extreme events are even greater because we think they are more unexpected than they actually are. As an example, we do not distinguish between ‘risk’, which technically, can be calculated, and ‘uncertainty’ which cannot. 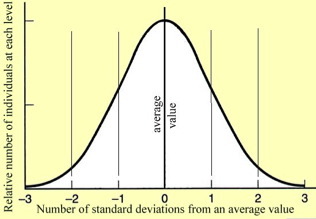 Taleb maintains that the ‘high’, ‘medium’ and ‘low’ risk options offered to you by your financial adviser are a fiction because they are all based on ‘normal’ distributions that ignore the effect of Black Swans. Part of the bias comes from our overvaluing what we find that confirms our model and undervaluing or ignoring anything that challenges our model. “Looking at history, we do not see the full story, only the rosier parts of the process.” (p. 308, Taleb) Ignoring silent evidence is complementary to the Confirmation Bias. “Our perceptual system may not react to what does not lie in front of our eyes. The unconscious part of our inferential mechanism will ignore the cemetery, even if we are intellectually aware of the need to take it into account. Out of sight, out of mind: we harbor a natural, even physical, scorn of the abstract.” [and randomness and uncertainty certainly are abstractions] (p. 121, Taleb). By “the cemetery” Taleb means: The losers of wars don’t get to write history; Only survivors tell their story; Prevented problems are ignored; Only fossils that are found contribute to theories of evolution; Undiscovered places do not get onto the map; Unread books do not form part of our knowledge. Apparently 80 per cent of epidemiological studies fail to replicate, but most of these studies don’t get published so we think causal relationships are more common than they are. We have a hard time seeing animals as randomly selected, but even when we can accept that, we are even less likely to accept that the design of a car or a computer could be the product of a random process. Also, with so many people in the financial markets, there will be lots of “spurious winners.” Trying to become a winner in the stock market is hard, because even if you are smart, you are competing with all the spurious winners. Our inability to conceive of a future that contains events that have never happened in the past — just think how difficult it can be to help some people associate into a desired outcome of their ownchoosing! We can use Robert Dilts’ Jungle Gym model to postulate that Future Blindness is equivalent to Perceptual Position Blindness (e.g. the inability to take into account the mind of someone else — one of the features of autism) and Logical Level Blindness — the inability to notice the qualitative differences occurring at different levels (e.g. using sub-atomic theory to ‘explain’ human behaviour). Gregory Bateson frequently griped about Logical Level Blindness, and it is a characteristic of people Ken Wilber calls “flatlanders”. The probability of winning the lottery is known precisely and is therefore not a Black Swan — just unlikely. “Someone who makes impeccable and rigorous reasoning from faulty premises thus producing phony models of uncertainty that make us vulnerable to Black Swans.” (p. 308, Taleb). As examples, both Taleb and Ormerod pick out a couple of Nobel prize-winning economists (Robert Merton Jr. and Myron Scholes) who did much to promote the Modern Portfolio Theory. In the summer of 1998, as a result of having applied their theories, their company, LTCM, could not cope with the Black Swan of the Russian financial crisis and “one of the largest trading losses ever in history took place in almost the blink of an eye ... LTCM went bust and almost took down the entire financial system with it.” (p. 44 & p. 282, Taleb) However that’s not the real story. The more important question is, why ten years after the failure of LTCM, is the Modern Portfolio Theory still the dominant model taught at universities and business schools? Using “the narrow world of games and dice” to predict real life. In Real life “randomness has an additional layer of uncertainty concerning the rules of the game.” (p. 309, Taleb). i.e. to explain past events. Note, the plausibility of the story is not a factor. The fallacy is forgetting any narrative is only one of many possible narratives that could be made to fit ‘the facts’ and therefore believing we understand ‘the cause’. Good examples are the importance we attach to numbers (did you know that 76.27% of all statistics are made up? ), and how much better we feel when we have a label for an illness. Commonly known as ‘hindsight’, we think we could have predicted events, if only we known what we know now. Most of what people look for, they do not find; most of what they find, they did not look for. But hindsight bias means discoveries and inventions appear to be more planned and systematic than they really are. As a result we underestimate serendipity and the accidental. “The confusion of absence of evidence of Black Swans (or something else) for evidence of absence of Black Swans (or something else).” (p. 310, Taleb) Just because you have never seen a Black Swan doesn’t mean they don’t exist. The former are ignored; the latter highly decorated. Would we have rewarded the person who made aircraft manufacturers fit security locks to cockpit doors before 9/11? Hence it pays to be a problem solver. Similarly we pay forecasters who use complicated mathematics much more than forecasters who say “We don’t know”. Therefore it pays to forecast. Both these asymmetries increase the likelihood of negative Black Swans. I was playing a different game. No one could have forecast that. Other than that, it was okay. They didn’t do what they should have. If only I’d known X.
We’d rather have a story that makes us comfortable than face the discomfort of uncertainty. we are faced with the nature of our individual existence in relation to the Cosmos ... Oh my God! Taleb calls this an “Apelles-style strategy”. Apelles the Painter was a Greek who, try as he might, could not depict the foam from a horse’s mouth. In irritation he gave up and threw the sponge he used to clean his brush at the picture. Where the sponge hit, it left a beautiful representation of foam. Despite the billions of dollars spent on cancer research, the single most valuable cancer drug discovered to date, chemotherapy, was a by-product of mustard gas used in the First World War. a. Make a distinction between positive and negative contingencies. b. Don’t look for the precise and the local — invest in preparedness, not prediction. c. Seize any opportunity or anything that looks like an opportunity. d. Beware of precise plans by governments. By “survival” Taleb means not only your physical survival from, say, disease, but also survival of your company, survival as an employee, survival of your marriage, survival of your success or status, etc. “Shut down the television set, minimize time spent reading newspapers, ignore blogs” because the more news you listen to and newspapers you read, the more your view will converge on the general view — and the greater the tendency to underestimate extreme events. “Train your reasoning abilities to control your decisions. Train yourself to spot the difference between the sensational and the empirical.” (p. 133, Taleb) “Most of our mistakes in reasoning come from using [intuition] when we are in fact thinking that we are using [the cogitative]” (p. 82, Taleb). Taleb’s point is that our emotional responses will unconsciously dominate unless we take that into account when we make decisions in the nonlinear world of Extremistan. Also see an article by Penny Tompkins and myself on Self-deception, delusion and denial. Use a lot of trial and error. To do that you have to learn to love to lose, to be wrong, to be mistaken — and keep trialling. Personally, I prefer the term trial-and-feedback because it presupposes the noticing of ‘errors’ and acting on that awareness. Wikipedia is a living example of stochastic tinkering. The next Developing Group will continue to focus on Level IV — Maximising Serendipity:The art of recognising and fostering potential.